The future of health care relies on medical innovations, new technologies, and research to advance the quality of patient care and improve patient outcomes. Recently, Mayo Clinic researchers delivered on a promising new treatment, virotherapy, in the battle against the deadly cancer, multiple myeloma. The findings appeared in the journal Mayo Clinic Proceedings and describe how two patients received a single intravenous dose of an engineered measles virus (MV-NIS) that is selectively toxic to myeloma plasma cells. Both patients responded, showing reduction of both bone marrow cancer and myeloma protein. 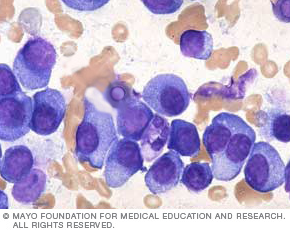 One patient, a 49-year-old woman, experienced complete remission of myeloma and has been clear of the disease for over six months. Oncolytic virotherapy – using re-engineered viruses to fight cancer – has a history dating back to the 1950s. Thousands of cancer patients have been treated with oncolytic viruses from many different virus families (herpesviruses, poxviruses, common cold viruses, etc.). However, this study provides the first well-documented case of a patient with disseminated cancer having a complete remission at all disease sites after virus administration. The MV-NIS therapy is being manufactured for a larger, phase 2 clinical trial. The researchers also want to test the effectiveness of the virotherapy in combination with radioactive therapy (iodine-131) in a future study. 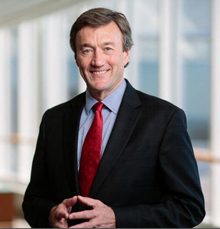 Read more on the Mayo Clinic News Network.